This morning I woke up before the screeching cries of your baby brother signalling me it is time to get up. I woke up with nervous anticipation, with butterflies dancing around in my tummy, not dissimilar to the kind you would get if you were about to go to a job interview or perhaps even on a plane to go on holiday. Except today wasn’t about me. It was all about you. 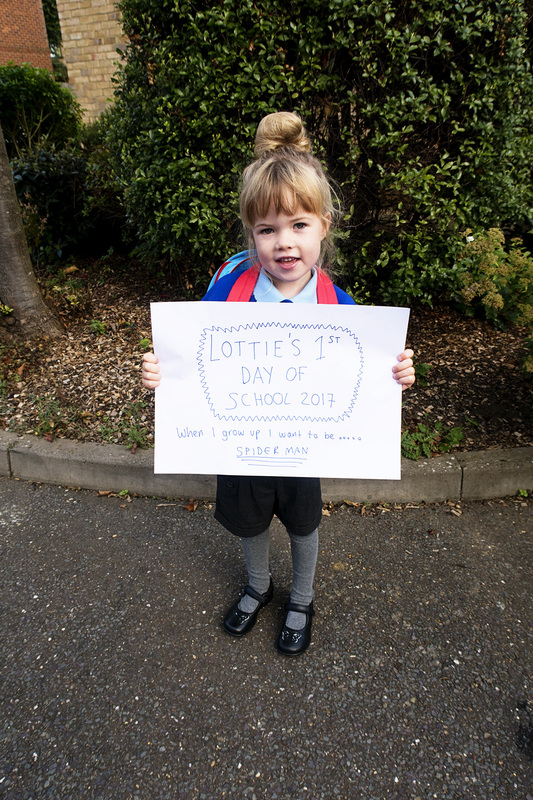 Today was the day that we have been waiting for in both equal parts excitement and nerves- the day you started school. I didn’t know what to expect of today. A part of me had thought it might be easier. After all you aren’t the biggest nor the littlest in our family. You are our middle, the one we like to call our sandwich filler. I always joke that you are the filling to our family sandwich, and then I whisper in your ear and tell you that the filling is often the best part. You are the ham, or the nutella in your case, and we all know that more often than not it is more exciting than the bread surrounding it. It is a little joke I have with you, as of course I adore you all exactly the same. But I still thought that perhaps it would be easier this time round, having done it before with your big sister. Except of course it wasn’t. Yes I know the school, I had mums to stand with and get emotional with on the playground. In that respects it is easier. I know you will be fine, I know you will thrive because I have seen just how much your sister has. I know that she will be there to look out for you, like she always does. But it wasn’t as easy as I thought. Because you are your own little person, you are MY little person, and now I have to accept the fact that today I waved a little part of you goodbye when I waved you nervously into your classroom. A little part of you that I won’t ever get back. Those baby days are behind us now. I am sat here attempting to work while they install our new windows and all I can think is I would give anything to go back to those days and replay just one. Even though we take a million photos and videos, I still find it hard to picture you as a baby. I can see hazy memories, of the way you used to be, but I can’t really picture you. And that’s what makes being a parent so bittersweet. For every new milestone, for every new era, the ones before it become a little bit more distant. I know from experience with your sister just how much school makes you grow. The subtle changes at first, but you grow so fast. And today I waved you off knowing that I have all that to come with you too. You are so different from your sister. She was more than ready to go to school even though she suffered a last minute dip in confidence. She was loud, vivacious, confident and crazy. You are different. You are ready to go to school but you are quiet, you are shy amongst new people and you are so laid back it is untrue. It’s only really been in the last six months that you have really started to chatter, of course you speak but it has taken a while to really get you going when it comes to your vocabulary. Whereas your sister chats ten to the dozen, you prefer to sit back and take everything in. I always joke you are my ‘easy’ one. But there is an element of truth to it, you are such a good girl. I rarely have to tell you off (although occasionally you can be stubborn and you have a proper temper on your which thankfully is pretty rare), and you just go with the flow. You are sweet, you are happy and you have the best cheeky side. I’m genuinely going to miss having you with me most of the time, because you really are a joy to be around. I know you will be fine, you’ll be more than fine. And of course I will be too. School will become every day, it will become such a part of our daily routine we won’t even think about it. But it doesn’t mean I don’t wish I could have spent longer cuddling you on the sofa instead of tidying the kitchen, or left that work email till later and watched you play Paw Patrol instead. How can four and a half years have passed us by in what feels like the blink of an eye? I know from experience that now we are in the countdown of terms and school years that it will go even quicker. 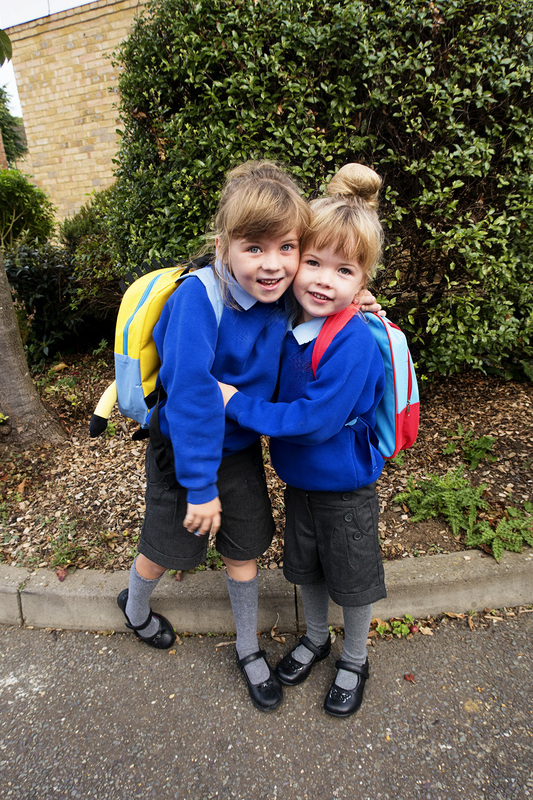 Two little girls at school. It makes my eyes well up with tears just thinking about it. Now only just an hour till I pick you up my little Lot Lot. Not that I’m counting or anything. Mummy couldn’t love you anymore if I tried. Thank you for being mine. Oh bless. They’re both so beautiful, Katie. I found it so sad with my second starting school and godknows how I am going to be when Freddie starts. They grow up too quickly don’t they.